RGB Modern returned from QuiltCon a couple of months ago, but a couple of weeks ago while I was spring cleaning I noticed a piece of paper in the bottom of the sack that my quilt was shipped in. It was the judge sheet with the juror's notes. I've entered my work into juried exhibitions before, where it is either accepted or rejected but I've never submitted my quilts for juror's comments as is the tradition for quilt shows. In fact I typically advise my students against submitting their improvised quilts for jury by an outside authority. Why? Because finding and trusting one's own authority is essential to developing authenticity in improvisational process. In life too, I've had to learn to laugh at people's judgements. Recently after a date, the person I was out with sent me a follow-up email saying I was splendid in every way but I needed kissing lessons. I retorted, "I'm a fine kisser, thank-you-very-much, however I'm not as accomplished as you are in turning on the instant passion." The point being, I never take anyone else's judgement of me or my work just personally. There may or may not be some seed of truth in it, but mostly other peoples judgements are about their personal preferences or insecurities, and I don't find it useful. I don't find my inner judge to be very useful either. I don't know who controls that bitchy voice or where it comes from exactly but I'm not going to listen to her any more than the jurors at QuiltCon! 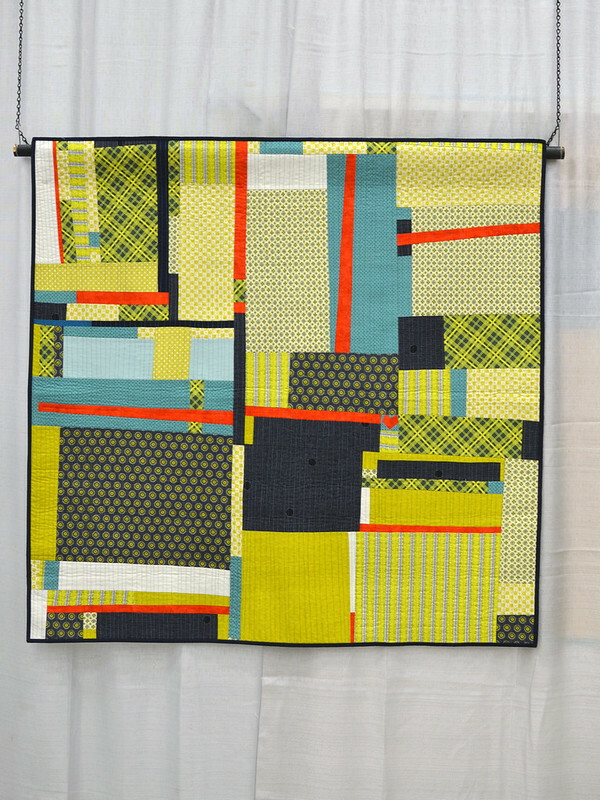 My inner judge will knit pick my best quilt to pieces and leave me despondent if I let her. Instead I ask myself the following questions as a way to evaluate my work rather than judge it. What surprised me while I was making this quilt? What did I learn or discover during the process? What did I find satisfying about the process or the outcome? What am I dissatisfied with? If I have a dissatisfaction, then what can I do differently next time to increase my satisfaction? Even though QuiltCon is long over, it's not forgotten. 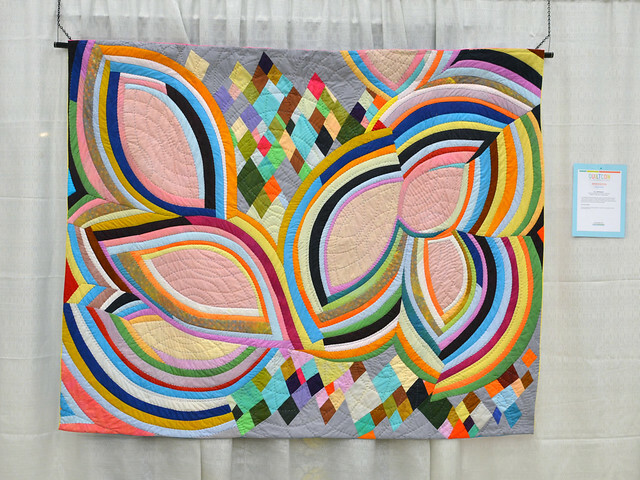 Cruising the blogs recently I noticed a couple of other people who shared their experiences of having their quilts judged, Cinzia at duex petites souris (whose quilt above was one of my favorites at QuiltCon), and Jodi at fiberhaus. If you've run across any others, or have posted one yourself please share the link or your story in the comments. I think the notion of being judged is one of the "big life" issues built into traditional women's craft. It provides us as quilt makers (modern or traditional) with a golden opportunity for exploring and re-visioning our relationships to authority, perfection, criticism, and judgement. With all of that, I leave you with a few more personal favorites from QuiltCon.